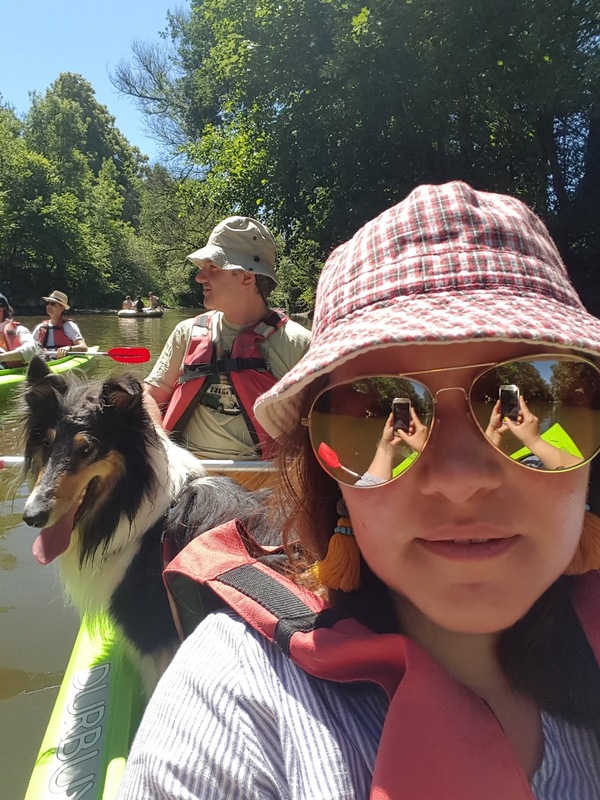 On a short distance from Luxembourg, but in Belgium, you can go kayaking on the river Ourthe. 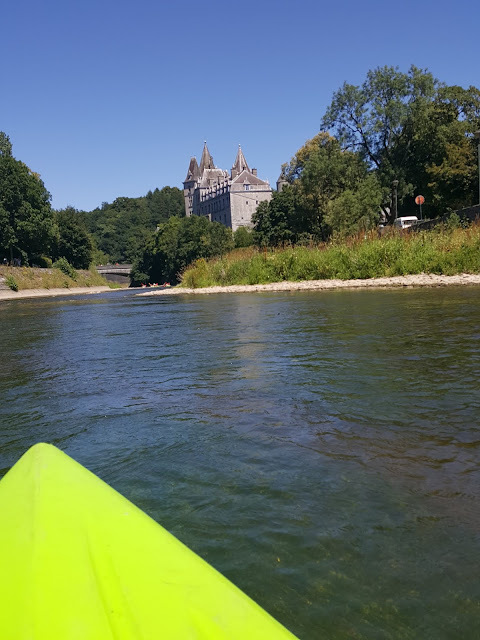 The adventure starts in Durbuy (which is a very medieval looking small town, worth a visit) and you have to paddle for 8 kilometres. There are busses that take you back from the finish point to Durbuy and the whole experience is 17 euros per person. 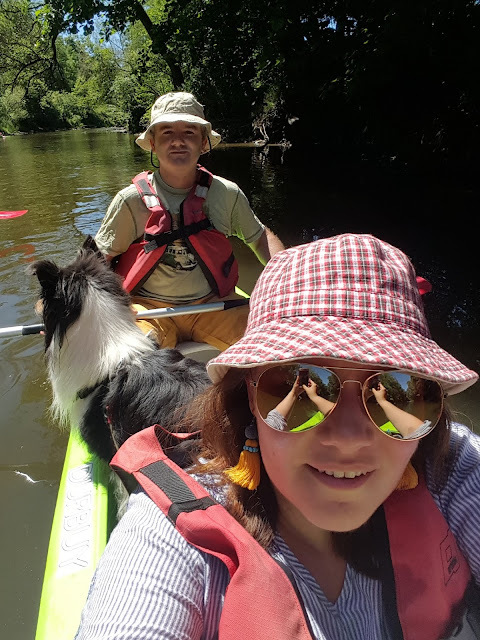 There are of course longer journeys, of 12 and 23 kilometres, but at the time we went kayaking they were closed. Needless to say, that if you are an inexperienced kayaker, 8 kilometres are more than enough. We did the journey in little more than three hours, but for us it was a Sunday fun experience, as there were people already trained, or at least people with a lot more experience in kayaking on the Ourthe. They had swimsuits and some buckets and they were ready for speed. We bumped into a few groups of those and let me tell you it was not a fun experience. This was my third time kayaking on the same route and every time it was different to the point when this time it was not funny anymore. When we first did it, I think it was in 2013, there was a shack where it looked like a few friends opened a friendly business renting kayaks. It was laid back, we had time for pictures and we relaxed, people were stopping by the shores of the river to have picnics, the whole atmosphere was very friendly and familiar. The second time, two years ago, the shack was turned into a massive house and they were selling other activities, such as wall climbing and zip line, but the atmosphere on the river was still very friendly and we had a lot of fun. The thing is this time, Luxembourg and this whole region is under a heat wave and after a torrid week we wanted to do something involving a little bit of water and shade. Apparently we were not the only ones. 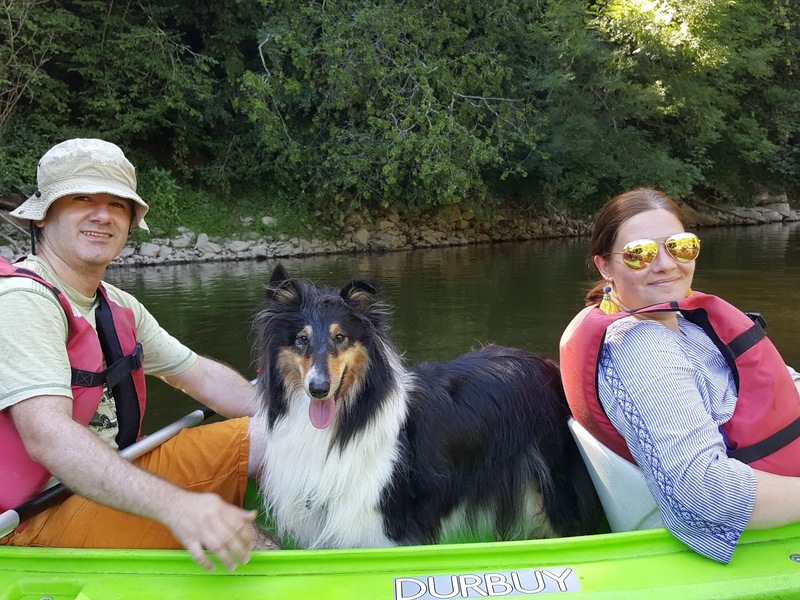 The rules have changed, now you pay 7 euros for parking and the bus takes you from their office to the river. I have no idea of the timetable of the busses, but rest assured we made the journey in a crowded bus backed against the doors, because of course we did not want to hustle, but by the third bus we missed because of that, we concluded that crowding and hustling was the norm. Then, there was no one helping us getting in and out of the boat (as they did last time), we had to actually fight for a life jacket and a kayak as they did not have any concept of a queue, the water was crowded, people were really speeding, talking loudly, throwing things in the water, smoking on the water, a lot of small children on their own boats not knowing what to do when the water was shallow, hitting other people with their paddle, the familiar/friendly picnics on the side of the river turned into screaming families, overall not a relaxed experience. 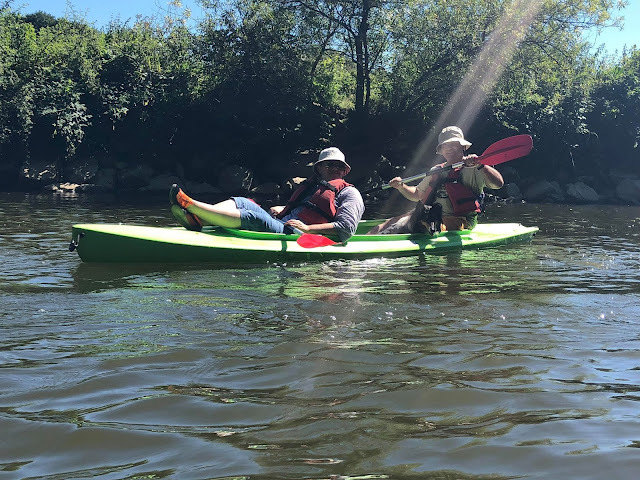 As a result I now have a massive muscle soreness on both hands and my legs from paddling I guess, I lost one of my earrings, and I really loved those earrings, so this is a sign that we have to look for our relaxed adventures elsewhere. The pictures are decent, though. 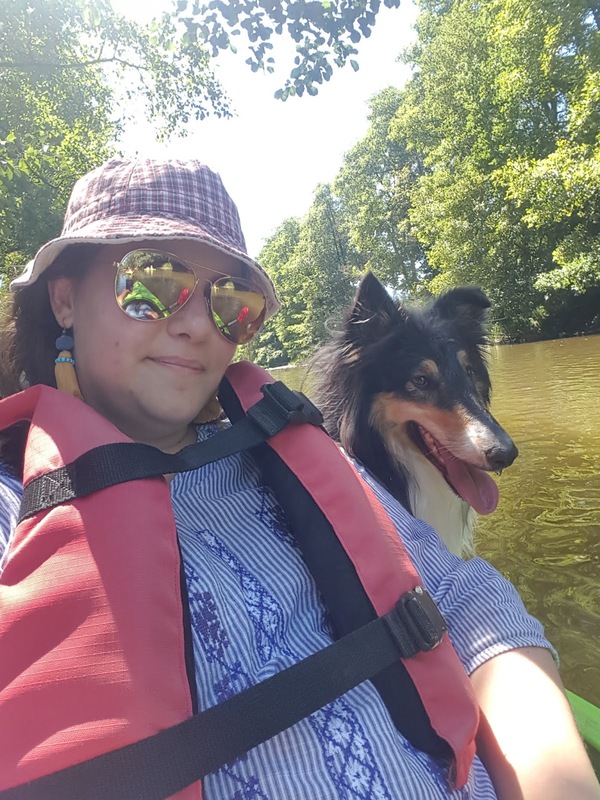 I was afraid to get my phone out all the time so we have pictures from the beginning of the kayaking time when we were still in Durbuy or very close to it. If you fancy such an experience good for you, I can DM you the details although there are clues in the text about the name of the thing. Also, if you know a nice, friendly, calm, place to do kayaking in this area, do let me know.